Breathtaking good looks and outstanding handling. R model is brutally quick. Cabin is classy and comfortable. Boot is also usable. Expensive to run. Ride can be rather hard. Infotainment system feels dated. One of the best cars to emerge from Jaguar in a generation, the F-Type Coupe improves on the Convertible on almost every level, with stunning good looks and outstanding handling. The Coupe is 80 per cent more rigid than the soft top, which makes it more composed in corners, with a firmer footing under hard acceleration. 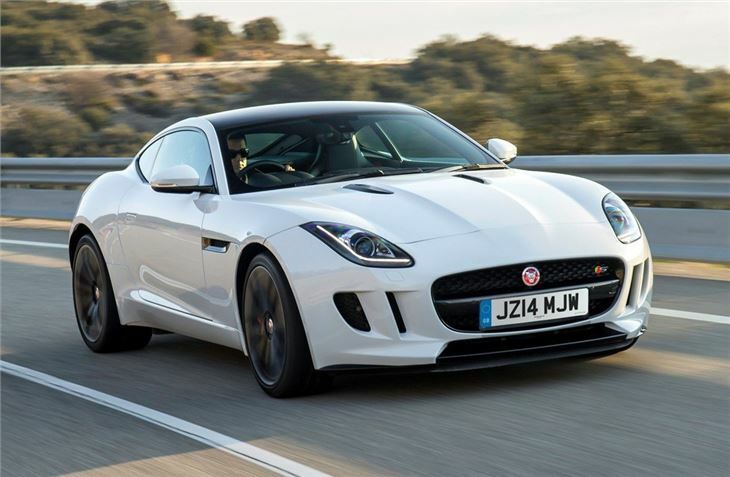 The F-Type Coupe is powered by three supercharged petrol engines, with the headliner being the 550PS V8 in the F-Type R which can cover 0-62mph in 4.0 seconds and reach a limited top speed of 186mph. There are also two 3.0-litre V6s, with 340PS or 380PS. Both powertrains are impressive and will cover 0-62mph in a respective 5.1 or 4.8 seconds. Each F-Type Coupe features a super smooth eight-speed close-ratio transmission, with full manual sequential control from the central SportShift selector or steering wheel-mounted paddles. The gearbox is a huge improvement over the old, clunky unit – found in the XKR – with instant changes and excellent anticipation on both the up and down shift. 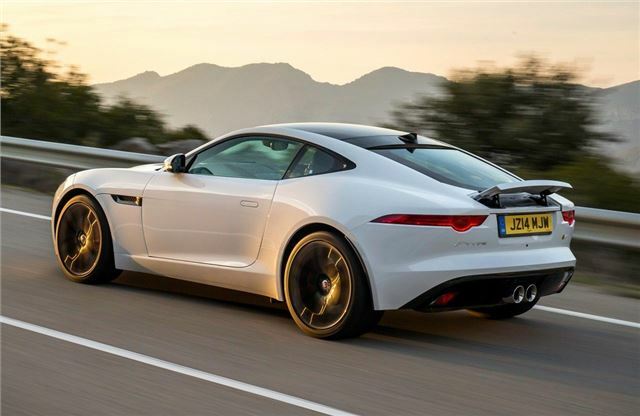 The 240PS V6 gets sports suspension as standard, but the F-Type Coupe S, with the 380PS V6, feels much more capable, with adaptive dampers, a limited slip differential and a raucous sports exhaust system. 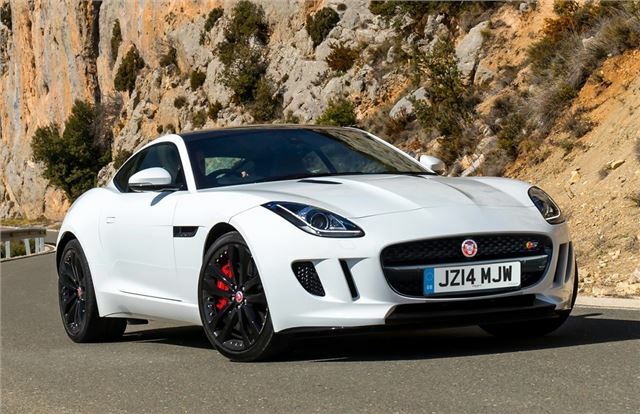 The F-Type Coupe R, takes things to another level, with an electronic active differential and configurable dynamics, which lets the driver tweak the steering, gear changes and throttle mapping. 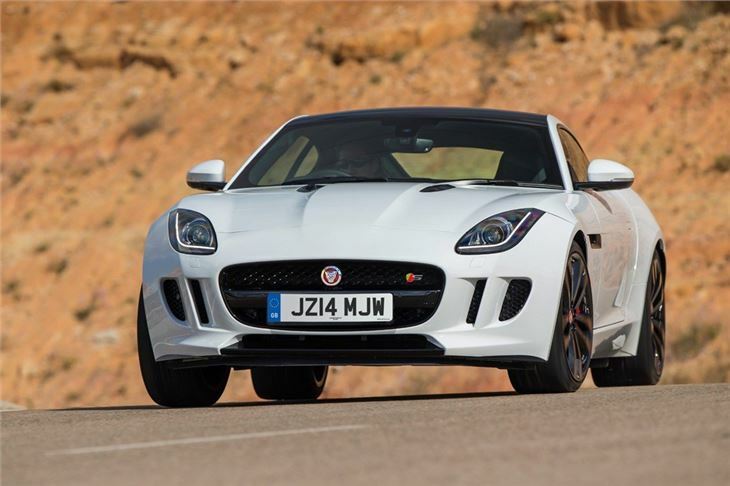 The electronic differential works really well in the F-Type, providing plenty of grip, while a torque vectoring system provides independent braking for each wheel to improve responsiveness. A switchable exhaust system is also fitted, which unleashes a thunderous howl from the quad tailpipes. 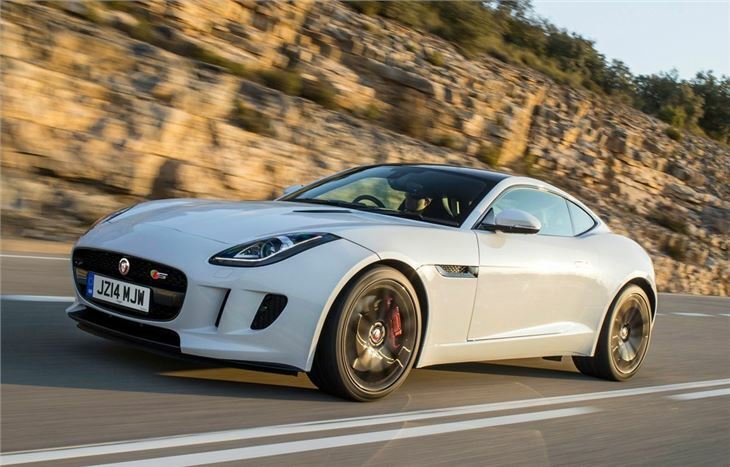 The F-Type R’s brakes, meanwhile, are the largest available in the range, at 15-inches. Both the R and S models have the option of carbon brakes, with better stopping power and reduced weight by 21kg. The interior of the F-Type Coupe is comfortable and modern, with the option of leather sport seats and configurable ambient lighting. Navigation, parking sensors and an eight-inch touchscreen are included as standard, while the intelligent dashboard design makes it easy to operate the majority of the controls. Admittedly, the touchscreen feels a tad dated, but this is a small criticism in what’s otherwise a good cabin. 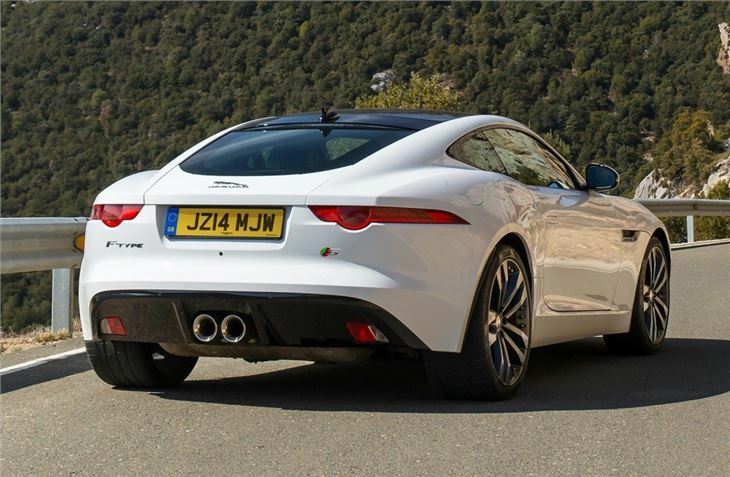 As an all-rounder, the F-Type Coupe is one of the best sports cars money can buy. It’s great fun to drive and also has a useable boot, with 407 litres, which is enough to carry two sets of golf clubs. Unlike some of its rivals, the Jaguar is easy to drive at low speeds and is also narrow enough to fit into most parking spaces. The V8 is the pick of the bunch, but the V6s are also extremely good, especially with adaptive dampers.